Adler Espresso machine 15 bar AD 4408Характеристики Type:Pressure Control:Manual..
Amica Espresso machine 1400W CT 3011Характеристики Type:Pressure Control:Manual ..
Amica Espresso machine white-black CD1011Характеристики Type:Pressure Control:Ma..
Blaupunkt CMP301COFFEE MAKERDescription CMP301 COFFEE MAKERCMP301 is a speciali..
Blaupunkt Coffee maker CMP312DescriptionCoffee maker CMP312 It gives you energy ..
Blaupunkt Espresso coffee machine CMP601, pressure, flaskDescriptionEspresso cof..
Bosch Coffee maker TKA6A047Характеристики Type:Overflow Control:Automatic Power:..
Bosch Coffee overflow TKA 6A044Характеристики Type:Overflow Control:Automatic Mi..
Bosch Coffee overflow TKA 6A683Характеристики Type:Overflow Control:Automatic Po.. 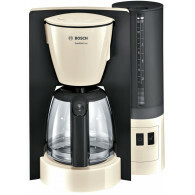 Capsules espresso machine Cafissimo MINI blackDescriptionCapsules espresso machi.. Capsules espresso machine Cafissimo MINI classy whiteDescriptionCapsules espress.. Capsules espresso machine Cafissimo MINI redDescriptionCapsules espresso machine.. 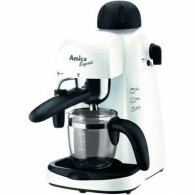 Capsules espresso machine Cafissimo PURE blackDescriptionCapsules espresso machi.. Capsules espresso machine Cafissimo PURE whiteDescriptionCapsules espresso machi..
Coffee machine capsule BOSCH (1300W; black color) Functions of the coffee machin..